Cape Horn has proved every bit as challenging as its legendary associations for Jörg Riechers and Sébastien Audigane, who have sailed through a difficult night with winds of up to 60 knots. 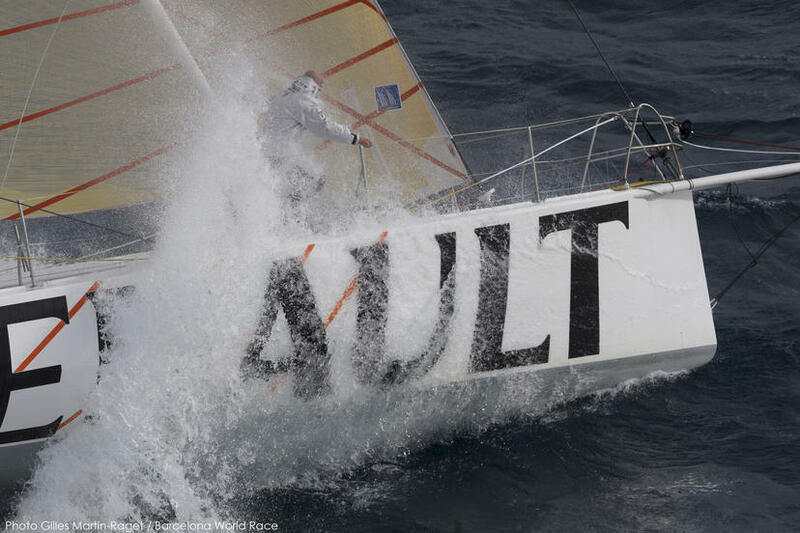 The duo are currently heading east in north-west winds of 40-45 knots and seas of 8 -10 metres. This morning at the 0530 update they were around 80 miles away from the third and final ‘Great Cape’, and are expected to round of the Horn at approximately 0930 with testing conditions expected to continue throughout the day. By contrast, leaders Cheminées Poujoulat, who last night transitioned into the northern hemisphere when they crossed the Equator at 2150hrs, are currently entering the Doldrums with winds easing and boat speeds dipping to sub-7 knots this morning.